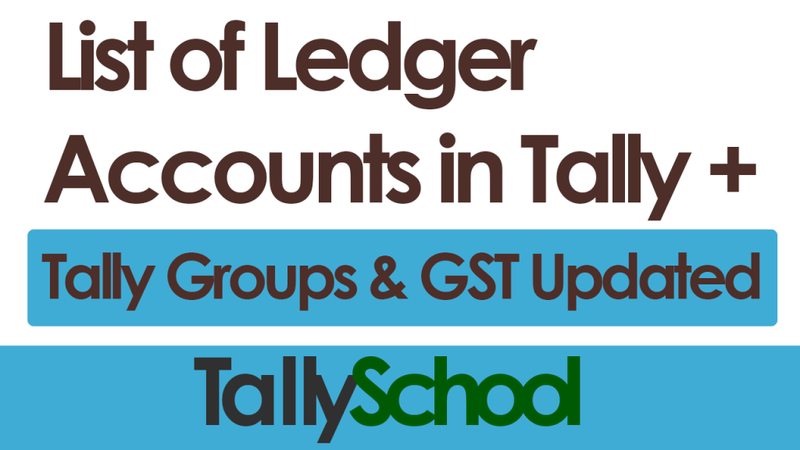 There is a very long list of ledger accounts in Tally as well as accounting groups in Tally. Today I am going to explain you difference between a ledger and a group in Tally. Along with that, I’ll also share with you the whole list of ledger accounts in Tally.ERP 9 plus the entire list of groups in Tally.ERP 9 too. You can download the PDF File of all lists in between this post and at the end of the post. Let’s first start with Ledgers in Tally. In simple words, a ledger is a book which contains all the entries i.e. debit and credit entries for that particular ledger. A Bank Account Ledger will have all the entries relating to debit and credit in your bank account. Similarly, a ledger of Direct Expenses will contain all the entries relating direct expenses in your business. A Tally Ledger is no different. Remember Tally is accounting but in digital format. A ledger in Tally.ERP 9 can be explained as a simple account in a normal language. An account is called a ledger in accounting language. For example, a Tally Ledger for GST is normally called GST Account in Tally or outside Tally when we are having a normal conversation. In the same way, a Sales Ledger in Tally is called a Sales Account in normal language. A ledger in Tally for Direct Expenses is simply called Direct Expenses Account. You are getting what I am trying to say here, right? Ledger is a technical term mostly used in accounting which we call an account in normal language. Have a look at your bank passbook or anyone’s bank passbook in your family. You will see credit and debit entries in there (hopefully more credits than debits). That is exactly how a ledger in Tally or anywhere else looks like. For you, it’s your bank account and for the bank it is a customer’s bank account and hence a customer’s ledger. Now, you know what is a Tally Ledger as well as what is ledger in simple terms. Let’s move on to the whole of the Tally Ledger List in Tally.ERP 9. In Tally.ERP 9, there is a list of pre-created ledger in Tally for your and my ease. Here it is alphabetically sorted. Click on the letter to open the list. One important thing to note here is that these are also the Groups in Tally. Both the pre-created ledgers in Tally and the Groups in Tally are exactly the same. There is a valid reason for that. Indirect Expenses can also be called a Group in Tally as well as a Ledger in Tally. Say, for example, you everyday incur Delivery Expenses and Packing Expenses in your business which is an indirect expense for your business. In this case, Delivery Expenses as well as Packing Expenses will be your ledgers and they will be classified under the Group in Tally which is Indirect Expenses. You can try this right now in your Tally by creating both of the ledgers above. Now, let’s take this scenario in another context. You are looking at your accounts to have a note of total expenses and incomes in your business. You look at Indirect Expenses. In this scenario, Indirect Expenses will be called as a ledger or an accounting head in Tally and not the group. But if you want to know what are the indirect expenses in detail i.e. Expense wise detailing, then Indirect Expenses will called as a group and Delivery Expenses and Packing Expenses will be called as ledgers in Tally or anywhere else. I know this is somewhat confusing but this is the simplest way I’ve tried to explain you. Still, if you have any questions or doubts, you can comment down below and I’ll be happy to solve your doubts. Also, this is the same list which you see when you are viewing list of ledger accounts in Tally under group in Tally.ERP 9. Here is the PDF file of the above list along with relevant examples for each ledger. A relevant example of a ledger would be Delivery Expenses and Packing Expenses for Indirect Expenses in Tally. In a similar way, I have included all the relevant examples of all the ledgers in the list in the PDF file. You can see the list of Tally Groups in Tally.ERP 9 right now. Here is how if you have already downloaded and installed Tally. Now, either under Single Group or Multiple Groups, select Display. What you are currently seeing is entire list of accounting groups in Tally.ERP 9. It is the same list as we saw earlier while discussing ledger list in Tally above in this post. I’ve already explained why they are same. But for more simplicity, let me throw some more light on this which you’ll find nowhere else. Direct Expenses in Tally is an Accounting Group in Tally. But it is also called a ledger in normal accounting language. Suppose there are 2 types of direct expenses in your business. They are Cutting Expenses and Stitching Expenses. Both Cutting Expenses and Stitching Expenses are ledgers in Tally. Now, according to Tally, Direct Expenses is a group but in normal accounting language it is a ledger also. The difference is that Direct Expenses is a collective ledger holding one or more ledgers under itself, and although they are ledgers in tally, they behave like sub-ledgers. That’s why, Direct Expenses is called a group in Tally because it holds various ledgers under it and they are grouped under it. But in practical life, Direct Expenses is a collective ledger which has different ledgers for individual direct expenses for better classifying the expenses and for more clarity. Once again, you can download the whole list of Accounting Groups in Tally with examples which is the same as the above list. So, if you have downloaded that, you don’t need to download this one. I have an incredible time saving and easy problem solving surprise for you! Read ahead to know what it is. I have sorted the list alphabetically for your ease. 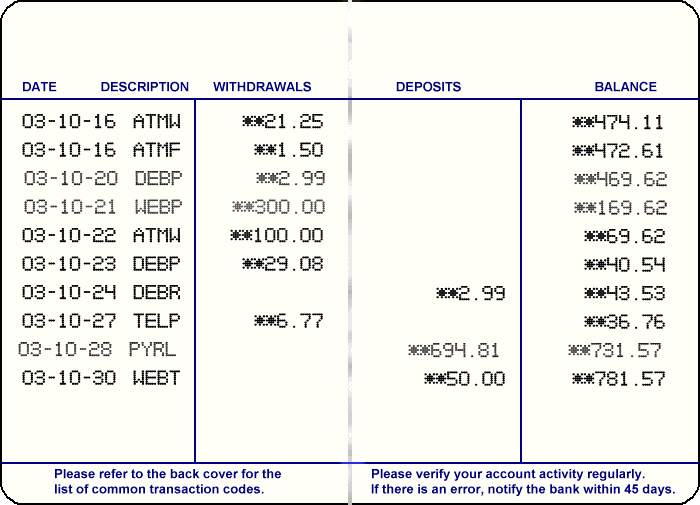 Bank Accounts – Generally contains ledgers of bank accounts including current as well as savings accounts. Bank of Baroda and so on. Bank OCC A/c – It is a Bank Open Cash Credit Account which is normally used for getting cash credit against stock and receivables in your business. This is kind of a short term loan for your business. Bank OD A/c – It is a Bank Overdraft Account which is used when a bank gives you an overdraft facility. It means that you can issue cheques from your account even if you have less funds. For example, you have ₹1,08,000 in your bank account but you want to issue a cheque of ₹1,24,0000. The bank will issue the cheque by adding the remaining ₹16,000 of its own. ₹16,000 is called overdraft amount and you have to pay an interest on that amount. This is also kind of short term loan but it is against your assets and deposits unlike Bank OCC A/c which is against cash credit and receivables. Branch / Divisions – The ledger under this group in Tally is for your branch or a division situated at a different place other than your main area of operation. For example, SBI has main office in Mumbai, Maharashtra while branches all over India, there will be one probably in your area too. Capital Account – This is one of the most important ledgers in Tally because without capital account in Tally, it is impossible to generate full accounts. Capital Account for an individual can be in his or her name and for a company in a company’s name. Cash-in-Hand – This is one of the two accounting groups under which a ledger is already created in Tally by the name of Cash. Any kind of Cash Account or ledger for Cash in Tally will be under this accounting group. Petty Cash Account – generally used for daily expenses. Current Assets – The assets that can be easily converted into cash in one year or a single accounting cycle which is again, generally one year are called Current Assets. It also includes the ledger in Tally for Cash. Office Supplies such as pens, pencils, staplers, tape and so on. Advance Deposits – Deposits paid in advance for purchasing goods and services. Dividends Receivable – If you are holding a share of a company and that company declared dividends but the payment is pending then it is your current asset. Current Liabilities – It is the exact opposite of Current Assets. Your debts or obligations which are due within one year or single accounting cycle which is again, generally a year, are called as Current Liabilities. Accrued Expenses like salaries payable. Customer Deposits. These deposits are made by customers for purchasing goods and services in advance. Deposits (Assets) – This includes any kind of deposits which are refundable and which you have given to anyone, hence they are your assets – current assets to be specific. Refundable Deposits in colleges, schools, libraries, trusts etc. Direct Expenses – These are the expenses which are directly related to your business or are major part of expenses of your business. These expenses form part of Trading Account and not the Profit and Loss Account. Direct Incomes – Incomes which form a major part of your business or are directly related to your business are called direct incomes. These incomes form part of Trading Account only. Duties & Taxes – This group in Tally includes all the ledgers related to taxation. Exactly same as Direct Expenses which you just read above in this post. Exactly same as Direct Expenses which is later in this post. Fixed Assets – The assets which are core to your business and generally have a life span of more than one year or one accounting cycle. Today they are classified into two groups. Tangible and Intangible. Tangible Fixed Assets – Fixed Assets which you can touch like a computer are tangible fixed assets. Intangible Fixed Assets – Fixed Assets which you cannot touch like a copyright are intangible fixed assets. Exactly same as Direct Incomes which you read above in this post. Exactly same as Indirect Incomes which you can read later in this post. Indirect Expenses – These are the expenses which are not directly related to your business but you need to incur them in order to run the business. Refreshment Expenses such as tea, coffee, biscuits etc. Any other kind of unexpected expenses which is not related primarily to your business. Indirect Incomes – These are the incomes which are not directly related to the but you earn them as a result of doing your main business. Any other kind of unexpected incomes which is not related primarily to your business. Investments – These are the ledgers or a group of ledger which you consider as an investment in your company or in your personal accounts. Loans & Advances (Assets) – When you give a loan or kind of advance to anyone, it becomes your asset. Loans (Liability) – This is a liability and hence it includes all the loans that you have taken from people, banks, financial institutions and so on. Misc. Expenses (ASSET) – This group of ledger is generally not used. This is only used when small expenses are clubbed together into one ledger. Now, how an expense is an asset? Say, for example, you paid ₹1,000 for repair charges of a machinery. After one day of repair, the machine broke down again and you called the repair person. He said, he cannot come now and he will refund the money in 15 days. Therefore, for that 15 days, repair charges which is a misc. expense will be your asset as now the repair person owes you ₹1,000. Provisions – When you set aside an estimated amount for an expense such as depreciation on fixed assets or bad debts, it called a provision. Provision for Payment of Retirement Benefits such as Pension, EPF etc. Purchase Accounts – This is is the most basic account or ledger or a group of ledgers used in Tally or in accounting. It includes all the Purchases Ledgers. Reserves & Surplus – Reserve is simply an appropriation of profits for a specific purpose. In simple words, we set aside a specific amount for a specific purpose and that is called reserve. While Surplus is the amount which is simply extra amount which we have in our business. For example, extra profits. I have created two separate lists. One for Reserves and one for Surplus. Retained Earnings – Retained Earnings are the earnings which the company retains and doesn’t pay out in the form of dividends or in any other way. Retained Profit of any kind. Sales Accounts – This is one of the most important and basic accounts in the list of Ledger Accounts in Tally or in general accounting as well. Secured Loans – These are the loans that you take from banks, financial institutions and other non-banking financial institutions but after giving suitable security to them. Essentially, Secured Loans are almost same as the list of above Loans (Liability) but with security. Stock-in-Hand – This is the closing stock in your business or the current stock that you have. Sundry Creditors – The people whom you owe money when you purchase something from them on credit in the normal course of the business are called Sundry Creditors. Well, there is no list. 🙂 The reason is because it will contain the individual names as per your business. Sundry Debtors – When you sell to anyone on credit, they become your Sundry Debtors. As this will also contain the individual names like Sundry Creditors above, there will be no list here. Suspense A/c – This account is used when you don’t know or don’t remember the name or account which you have to use. For example, you purchased a pencil from someone, but you forgot the name of the person, then you can use the Suspense Account instead. Then, when you recollect the name, you change the entry in Tally and the remove the Suspense Account. The list here will contain all the entries, the accounts of which you don’t remember correctly. Unsecured Loans – These are the loans that you have taken without any kind of security and hence they are called Unsecured Loans. This is it. This was the whole list of ledger accounts in Tally classified Under the particular Groups in Tally. I am sure you have learned a lot from this list and you will save this list for future reference while doing accounting at your job or for your own business. This is the longest post I have ever written on TallySchool. I am sure, you must have gained and understood a lot of things about accounting, ledgers in Tally, list of ledger accounts in Tally and groups in Tally and many more things. The classification of accounts or ledgers in Tally is done the way which I have described in the list above. This does not mean that your classification is wrong if it is different from the one which is in the list above. It can be different and still it can be true. That’s the beauty of Accounting. If you have any doubts or questions or just want to say thanks for this long post, comment down below and I’ll be more than happy to listen to you. I thnk that Salary is the Indirect Expenses not in the Direct Exp. It depends person to person. It can be indirect as well as direct. Please join TallySchool, if you have not already done it. Income Tax is taken under Capital Account if the accounts are of individual and Direct Expenses if the accounts are of business or a company or anything other than individual. Agricultural income and agricultural expenses under create group in tally. Gst input and output create under duties&taxes. Gst paid create under which group in tally. Agricultural Income and Agricultural Expenses will be under Direct Incomes and Direct Expenses. GST paid will be an entry in Tally. Thank you Deepesh for your kind words. It gives me a more enthusiasm to do good work. Generally government securities are under Investments because most of the time they are purchased as investments. If you can let me know the purpose of purchasing the government securities, I can give you the exact head under which government securities should be put in. koun sa question me koun sa ledger hoga please detail me btayen? Yehi maine is post me bataya hai. Example – Office Expenses will be under Direct Expenses because it is expenses. Waise hi aap simply sab ke liye ye kar sakte hai. Thanks alott sir for posting such informational stuffs!! Well i wanted to know regarding the voucher stuffs. It is something like rejections in, rejections out,physical stock etc..
i hope if you provide us with some written materials related to the voucher creation so it would be very kind of you.. I will be writing rejections in and rejections out soon with the videos. How to do? please suggest me. When you create a ledger called Cash in Hand, press ALT+C and a new window will open. You can go into deeper levels for deeper subledgers as you like. Thank you so much Lalu for such good words. 🙂 I really appreciate it. I am here to make you all experts in tally. In which undergroup insurance will come? Insurance will come under Investment, if you are investing in insurance. If it is like mediclaim, where after the year, we don’t get the money back, then it will be direct expenses. If insurance is your income, it will be under Direct Incomes. I really appreciate sir. Small typo error in the Bank OD A/c. value it should be 1,24,000. Thank you but there is ₹1,24,000 and there is no typ error.